Ahhhh KTV. There are lovers and haters of this pass time but if you decide to give it a try, you'll be entertaining yourself in an authentic Chinese way. Leave your shame and dignity at the door and belt out your favorite song. KTV is China's word for karaoke. KTV means a place, typically a club, where Chinese people go to sing and have fun with friends. Despite how karaoke works in the West, KTV in China is a more private affair. In the US, we are used to singing karaoke in a bar, on a stage, in front of many strangers. 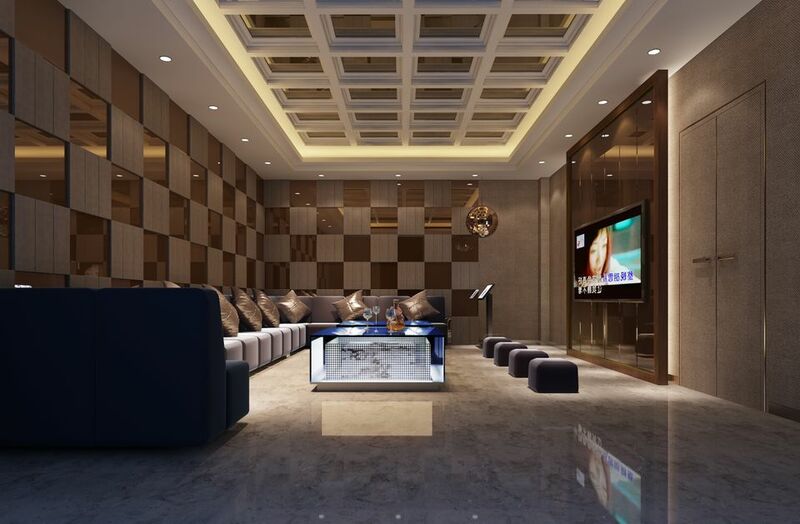 In China, KTV clubs have private rooms where you book in with your friends or colleagues for a few hours of fun. Typically, the rooms are booked for a minimum time (for example, 2 hours). KTV clubs are usually full-service and you can order a full array of snacks and drinks throughout the affair. KTV is usually an evening activity, but many clubs in big cities are open 24 hours. If you are not going to KTV with Chinese friends or Chinese colleagues and you don't know how to go about making a reservation, I would advise having a local friend, your hotel concierge or your tour agent help you. There are several reasons for this. First, especially in big cities on weekends, KTV is a popular thing to do. You may be able to walk up and book but you don't want to plan a big night out only to find the rooms fully booked. Second, there are fully legitimate KTV clubs where all you do is sing and drink and have fun. There are also KTV clubs where girls work to "help entertain". I'm guessing you don't want this type of establishment. Third, unless your Mandarin is fabulous and you're familiar with Chinese music, you'll want to make sure the club has English songs. Once you've managed to book and get to the KTV club of choice, you'll check in just like you would at a restaurant and you'll be guided to your private room. Rooms vary in size so you'll have made the reservation for the appropriate number of people (you don't want ten people crowding in a room for four). Ask (or gesture) to the staff who showed you in to find out how to operate the song system. Typically there's a way to search for songs alphabetically and you'll find everything from "Country Roads" to "Hit Me Baby One More Time" so there should be something for everyone. Look for a menu on the table. Here you can order drinks and food. There will be a buzzer or ringer for service staff. When you want to order, just hit the button and a server will come to take your order. In my opinion, KTV is a really fun way to spend some hours doing something that is what millions of locals enjoy doing, so you can consider it an authentic cultural experience. I have many hours of KTV and karaoke under my belt so here are my suggestions for having a fun time, especially if you're in a big group of people you might not know well. Pick songs that are up-tempo. Nothing drags a KTV evening down like slow songs. Find the "cancel" or "next" button on the song machine. Many songs have refrains that go on for-ev-er. Feel free to hit "next" to go to the next song (unless it's your boss singing). Choose songs that are fun to sing as a group. Take some time to practice your own signature KTV song in the shower so you can really impress your friends with "I Will Survive". Include some key dance moves.